It has been over a year since I posted an update. I can only say, things have been extremely busy as a mom of 6, and I haven’t found much time to journal or blog as I would like. Still, a lot has happened and is currently happening, and I would like to have some of that recorded here, especially as we are heading into a New Year in a few days! Maybe getting back to writing on my (ahem, three!) blogs will be one of my resolutions?! Over the course of the past year Maggie has had 3 very brief partial seizures. The first was in August 2014 and was triggered by vibration. The other two were back to back in June 2015, and those were triggered by light reflecting off of water at the swimming pool. Each seizure only lasted a few seconds, and were marked by her briefly losing consciousness (the first one) or her eyes rolling back in her head (the 2nd one), but no jerking. She has had two MRIs and 3 different types of EEGs to try and determine what has caused the seizures, and whether she has Epilepsy, but all of her tests have been normal. The neurologist has been unwilling to diagnose or treat her since we have no abnormal test results so we are in a “wait and see” mode. She typically wears sunglasses now whenever she plays outside on a sunny day, just in case. Maggie has really struggled to learn to speak. At first we attributed this to the fact that she wasn’t hearing well when we adopted her, due to multiple ear infections and a lot of fluid in her ears. We attributed it to her clefts and the need for surgeries and healing from surgeries. We attributed it to a language barrier. We attributed it to a personality trait, as she doesn’t like to “perform”. For the longest time she wouldn’t let anyone outside our family even know that she had a voice or could make any noise at all. 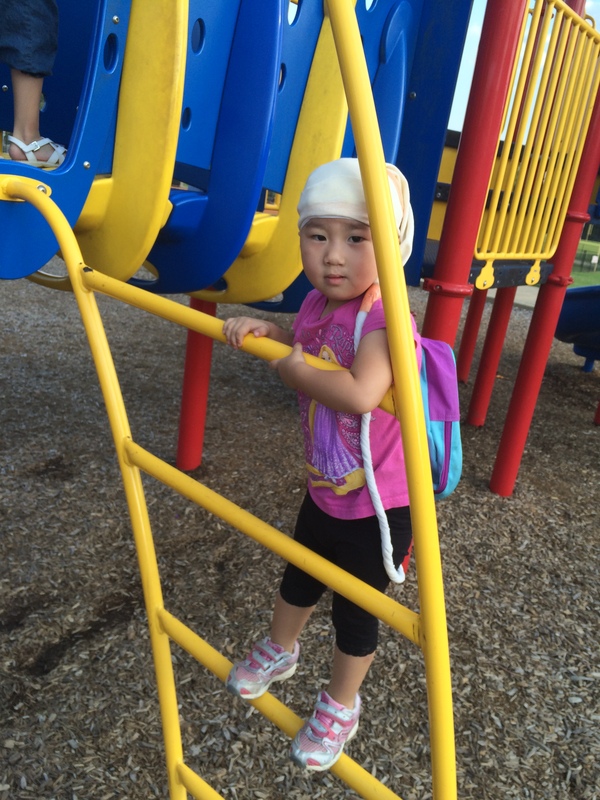 Maggie has been in speech therapy since healing from her cleft palate surgery in July 2014. By February 2015 she really had made virtually no gains in speech. We had started teaching her sign language to help her communicate and she was clearly making language gains, learning to sign, and gains in understanding us–but very little in the way of speech gains. We decided, on the advice of her speech therapists, to put her in a preschool 3 days a week to give her a push in her speech. The thinking was that being around people who didn’t know her signs and especially around other children would motivate her to speak. Instead, it caused her a tremendous amount of anxiety. She seemed fine when we dropped her off at preschool, so we didn’t immediately make the connection…but after 3 months of preschool she had become very anxious and clingy with me, unwilling to leave my side or let me out of her sight, and she had stopped sleeping much of the night. Her anxiety was so pervasive that it was causing problems for some of our other children as well, as she didn’t want anyone else to look at or speak to her mommy. 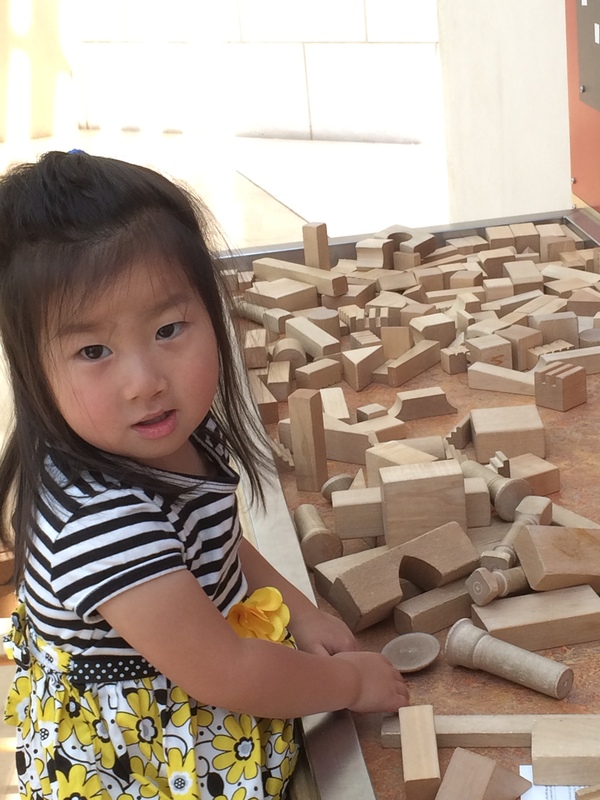 Instead of helping her to open up and be more willing to speak, preschool caused her to shut down almost completely. 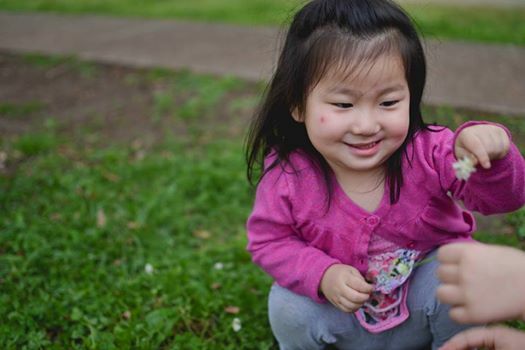 We took her to the International Adoption clinic and to the Cleft Clinic in Birmingham in May for her regular checkups. The family therapist at the adoption clinic immediately recognized that preschool was the cause of all the anxiety that we were seeing at home, and she advised quitting it immediately. Maggie had also become extremely resistant during therapy. During our time in Birmingham we saw 8 different specialists. Maggie was open to being examined by 7 of them, but when the physical therapist came in (the only person who made immediate eye contact with her and who carried a big basket of toys) she jumped into my lap, buried her face, and refused to cooperate. She can smell “therapy” a mile away and she wanted none of it. The clinic also advised pulling her out of therapy altogether for the summer, and taking a complete break to recover from all the trauma that preschool was causing. She needed time to re-establish our bond, as her bond had gone from secure to ambivalent. Her emotional needs trumped her therapy needs at that point. We can only guess that something about being in a classroom setting with two teachers and a bunch of kids triggered orphanage memories and feelings that Maggie didn’t know how to process, and which caused her a tremendous amount of sadness and stress. She has done fine in the church nursery and fine in our home school co op nursery. She plays great with other kids, even strangers. There was just something about the “school” environment that was different, and she was very stressed by it. But once we stopped preschool and therapy, things got better almost immediately and continued to improve week by week until by the end of the summer everything was back to normal. I was surprised that she could remember anything, since we adopted her so young (13 1/2 months old). Therapists at our adoption agency told us that kids as young as Maggie have not started replacing their short term memories with long term memories yet and they can still access memories from their babyhood. She also would certainly know the “feelings” that things produce in her, whether or not she can remember exact situations. She has recently been wanting to read and re-read an adoption book about Chinese orphanages, and she points to a picture of a crib and signs “Maggie”, and to a picture of a nanny and signs “not mommy”. She clearly remembers and is processing those memories at some level. It is astonishing. At the cleft clinic they told us that her surgeries were completely healed and that her clefts and her adoption had nothing to do with her speech at this point. She may have had articulation issues to deal with, but she should be trying to speak and she wasn’t. Her hearing was normal, anatomically she was capable of speech, and she had been home for almost 2 years. They mentioned Childhood Apraxia of Speech, and although one of her therapists had also mentioned this possibility before, it was the first time we began to realize that we might be dealing with something more serious than we had thought. We came home and worked over the summer to build trust, increase sign language mastery, and start to focus on getting Maggie to make some verbalizations. She started therapy again in August, continuing once a week with her private therapist and starting with a new therapist from the school system 3 times a week. Thankfully, we live very close to the school and her schol therapist has been willing to come to our home for now to help Maggie avoid the school setting. We are so grateful, and Maggie has been willing to work for her, which is wonderful!! 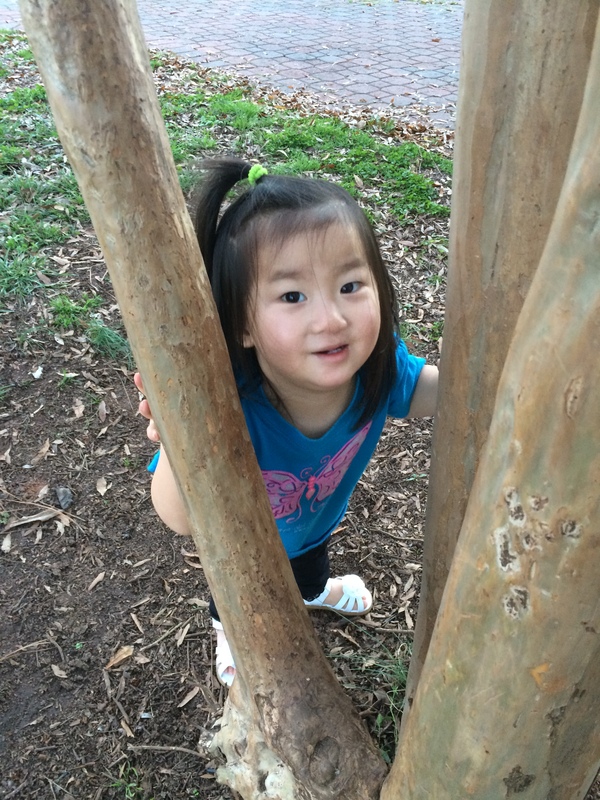 After her 3rd birthday we started to hear the word Apraxia more and more. Recently Maggie was tested and her receptive speech (what she understands) is at 3 year 6 months while her expressive speech is at 19 months. She has over 130 signs, and has started signing in 3 and 4 word sentences, but she has made only small speech gains and those very slowly. Childhood Apraxia of Speech is a neurological motor planning condition in which a child can think of what they want to say but their brain is not able to communicate with the muscles in their mouth to tell their mouth how to form the words. There is some kind of a short-circuit. Maggie has to learn every sound and every word over and over until she has learned it to the point of muscle memory. This is a little bit like you or I practicing and practicing and practicing to become a concert pianist–it takes a lot of work and effort and it won’t happen overnight. One hallmark of Apraxia is that she has no consistency, either–she can say something one day but the next day she struggles to reproduce it. Here is a brief video that gives a little more insight into Apraxia. For more information about Childhood Apraxia of Speech, visit the CASANA website. There was a time several months ago where I was very fearful that Maggie would never learn to speak. Kids with Apraxia can eventually learn to speak so well that no one would ever suspect they had a speech problem–or they can remain essentially mute for life, or a range in between. There are a lot of variables and it is hard to say what Maggie’s outcome will be, but at this time I feel we have a lot of reason to hope. She is a fighter, and she is willing to try. She is working hard and our family is committed to giving her all the help she needs to learn to speak, and we are all working with her to develop her speech. Currently, she is working on learning to say her long and short vowel sounds. She is working to say “mommy” and “Maggie”, two words that she has said a handful of times, but which she finds very hard to reproduce. She may say “Maggie” one time but then she can’t remember how she said it. It is often two steps forward and one step back. She can say “yeah” and “yum yum”, “up”, “eye”, “mine”, “me”, and a few other simple words. 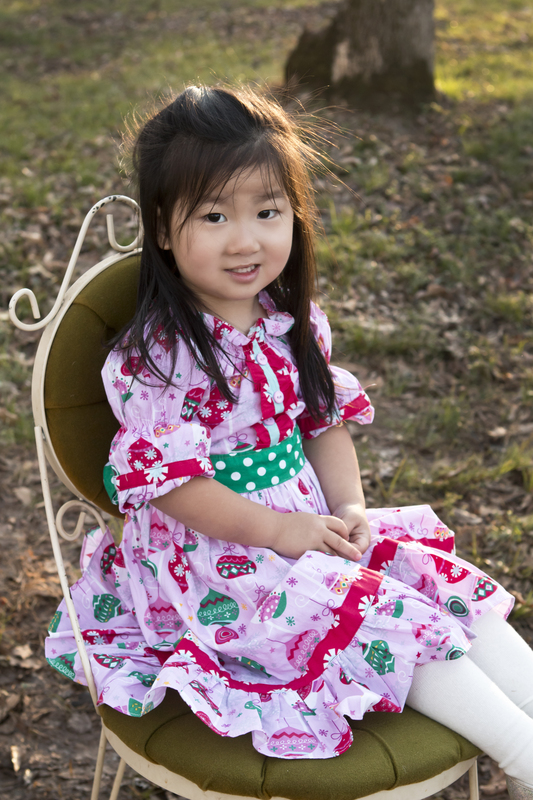 She has many word approximations, also, such as “mah-ee” for “mommy”, “Kee Kee” (what she calls her sister), “eye-ee” for ice cream, “ah-ee” for daddy, “oh” for orange (her favorite fruit), “aa-puh” for apple and “oh-puh” for open. We are practicing every day, multiple times a day. In future posts I will talk about the speech therapy methods we are using right now, in hopes they may benefit others struggling with Apraxia. It is a long, hard, frustrating journey. We are so grateful that Maggie is a part of our family, as I think her outcome would have been very different if she had not been adopted. We are grateful to be part of what God is doing in her life! She is truly a precious little girl who brings so much joy to our family! This entry was posted in Uncategorized by mollyevert. Bookmark the permalink. What an amazing journey you have been on! Thank you for sharing your beautiful wonderful girl with us! Thank you providing an update on Maggie’s speech. As a fellow adoptive mom of two kids with speech delays, (one with cleft lip and palate and the other we’re not sure what’s causing the delays) I’ll be following your journey. It helps to know we’re not alone!